Anyone who knows me, will know I spend the majority of my time either eating, meal planning, recipe searching... You get the picture! I know a lot of you out there share my love for food so Blonde Vision has teamed up with BBC Good Food Show to offer you guys the chance to win a pair of tickets to the show in either London at Olympia or Birmingham at the NEC on the dates stated in the terms and conditions. What is the Good Food Show? Bursting with special new features, first class entertainment, fantastic inspiration and great shopping from London’s finest selection of artisan producers – the show has all the ingredients to be the tastiest day out in the capital. Don't miss highlight of the show, the Super theatre where you can watch the best celebrity chefs in the business cooking delicious dishes. Get tips for tasty seasonal food and plenty of culinary inspiration in this entertaining show whilst hearing from the likes of Mary Berry, Paul Hollywood, Michel Roux Jr., James Martin and Tom Kerridge live. 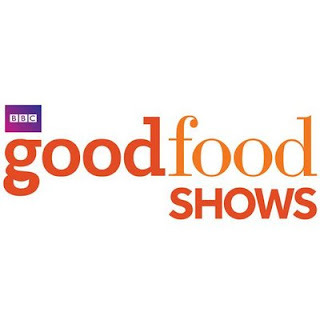 The BBC Good Food Bakes & Cakes Show is now part of BBC Good Food Show London. Your ticket will grant you entry to this second show free of charge (subject to capacity)! The winner will be chosen via Rafflecopter subject to meeting all of the entry criteria. If the winner does not meet the criteria, another winner will be chosen. The prize for this competition is a pair of tickets for either London Olympia Good Food Show on 13th or 15th November or Birmingham NEC Good Food Show on 26th, 27th or 29th November. SATURDAY EXCLUDED. One date will need to be chosen by the winner. Competition ends midnight Tuesday 10th November. Winners have until 10.00am the following morning to send confirmation of their chosen date and location along with the postal address for tickets to be sent to. If the information is not sent by this time, another winner will be chosen due to the tight turnaround time for the show.